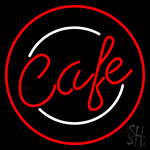 Cafes have been a common place to go to and there's a caf� located in almost every next corner. 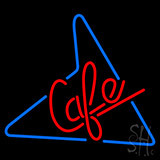 Frame your caf� into a standout point for all, making them search for your place with amazing caf� neon signs. 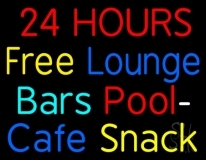 Place the caf� open neon signs across your locale announcing that you are always open to serve to your customers. All the flashing and sparkling of caf� flashing neon signs hanging outside will get those visitors to notice and successively fill up your caf�. 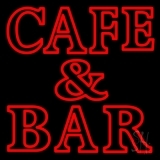 Create the utmost ambience of warmth and comfort with the durable and long lasting caf� neon light signs. Select a caf� neon sign from our bright stock of open caf� neon signs and caf� flashing neon signs that best suits your business. If your caf� has internet browsing as a facility for your customers, then advertise it in the best possible way with internet caf� neon signs. If you are looking for something other than our stock neon caf� signs and have an idea into your mind, then this is the place to be. Our designers will help you transform your ideas into reality with customized caf� neon signs. Opt for our custom caf� neon light signs or send us your message, business sign or any other information. 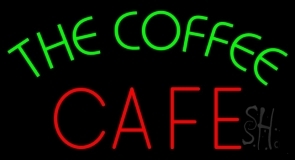 We will create the best quality neon caf� sign that's apt for your cafe business. 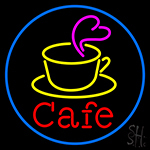 So customize your caf� neon sign and allure your customers come to your place every now and then. 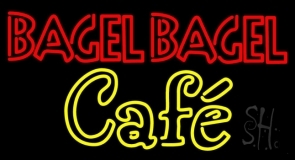 Get your caf� neon sign designed today!